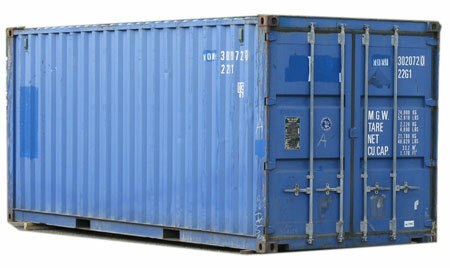 Star Structures purchases best quality used conex shipping containers for sale, lease or rent. Locking mechanisms are intact, so you can put up to four locks on a conex to ensure maximum security when storing high dollar tools and equipment. The low entry step makes a conex very easy to load and unload – even with a hand truck or dolly. Conex colors vary. Due to seasonal demands and our stringent quality requirements, conex shipping containers are sometimes backordered. Placing orders 60-90 days in advance is a good idea. These water tight, rodent proof conex containers make outstanding grain and feed storage facilities. On site, secure storage for construction sites. Root cellar – just partially bury a conex in the side of a hill. Storm shelter – anchor a conex in concrete or with ground anchors. Event storage – everything from musical instruments to sports equipment. House remodeling storage – out of space? Get a Star Structures conex while your house is remodeled. On site rental units available. Star Structures can build Utility Sheds, Lofted Barns, Playhouses, Chicken Coops, Camping Sheds, Hunting Blinds, Garden Sheds and much much more. Call us about our RENT To Own Options! If you chosoe a location for your new shed that represents a delivery issue due to fencing or landscaping - we can BUILD ON-SITE! Custom structures are our specialty! Free Delivery in Miles City.